Unpossible: Guns aren’t allowed there! Here are two great stories that show that the police can’t be bothered to read their own laws. Now we all know that pistols are banned both in Canada and England. Since they are banned, the cops should have known that these people didn’t really have guns, just toys. If guns are banned and the cops are still seeing enough real guns on the street that they feel the need to take toys this seriously, well, that would mean that gun control has failed. And that can’t be right. This makes no sense. We’ve been told time and time again that if we will only submit to just a few more reasonable restrictions, we will have less gun crime. So how do they explain this? A man accused of gunning down murder victim Junaid Khan told a drug-dealer pal that he had done it, a court heard. Milad Finn is alleged to have used a machine gun to shoot dead 21-year-old shop worker, Mr Khan, who he is said to have blamed for the theft of £175,000 of cannabis. This makes no sense. Guns are very difficult to come by in England, and machine guns are banned so thoroughly that I’m convinced that merely discussing machine guns in England will get you and Anti-Social Behavior Order. It’s almost like these gun laws don’t have any effect on criminals and their desire to murder each other. Belize has strict laws making possession of a firearm, ammunition, or anti-ballistic body armor illegal unless a valid permit is obtained. Penalties for firearms violations are severe. How is it that this happened? Yesterday, Edward Emmanuel Lord, Jr., 28, a resident of Haulze Street, became the victim of a vicious broad-daylight execution on Mahogany Street sometime just before 5:30 p.m.
Police say that his assailant used a machine gun and riddled him with bullets. Attempts on Lord’s life have been made before. e) machine gun of any calibre. I mean, how much more clear could the law be? Yet it happened anyway. It just goes to show you that gun control laws only affect the law abiding. The criminals will just do whatever they want anyway. Do you really think that a person who wants to murder someone will be worried about breaking the firearms law too? This is absolutely unsupportable. In England, where possession of so much as a pistol is a crime, the prosecution (Queen’s Counsel, in Sarah Brady Paradise speak) is trying to convince the jury that the suspects murdered the victim with a submachine gun. Shopworker Junaid Khan, 21, was gunned down in the car park of a doctor’s surgery in Chadderton two years ago, shortly after meeting with his girlfriend nearby. Four men have gone on trial at Manchester Crown Court for his murder. The court was told that days before a gunman fired 17 bullets from a sub-machine gun at him, the victim told friends: “I’m not going to be around long – I can feel I’m going to get shot”. How can that possibly be? The UK has very strict gun controls, to the point that the British Olympic Shooting team has to practice out of the country because their pistols are illegal in the UK. So why, after all that gun control were a bunch of young thugs able to get a submachine gun? I live in the land of the free and I can’t have a submachine gun, how did they get one? It’s almost like criminals just don’t follow the law. Now if you think back to the early days of this blog, Brady Campaign Board Member Stooge and general all around whipping boy girl Joan Peterson was a frequent target of my ire. I’ve successfully ignored her at least since the Great April Fool’s Day boycott. But way back when, she posted (link omitted on purpose) about going to Spain and how great it was there because guns are so tightly regulated. How does she explain this? IN a tragic example of extreme domestic violence, a man was killed and his girlfriend seriously injured in Denia. The attack started when her ex-boyfriend shot the woman’s current partner, killing him instantly. Equally disturbing was the fact that the shooting was carried out using an Uzi sub machine gun which was fitted with a silencer. Police sources say the gun apparently jammed, and so the assailant abandoned it and went to the woman’s home and used a knife to attack her. She only survived because she defended herself by grabbing the blade of the knife, and she is currently in Denia hospital, with severe lacerations to one hand, and head injuries. She is in a serious but stable condition. *Meanwhile in Joan Peterson Paradise. The translation is likely a rough one due to me using Babelfish instead of asking a native Spanish Speaker. I wonder why they might suspect this guy? Police said (Victim) and another man were inside an apartment, a known crack house, when someone fired into the apartment about 11:30 p.m. I hope that you are all getting the basic lesson of this incident. Stay away from drugs. Plus, how’s that gun control working out for you? Felons shooting felons at drug dens? 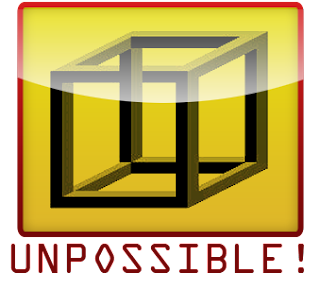 Unpossible! Two men are still being questioned after a man was killed in an apparent ride-by machine gun attack near Stockwell Tube station in south London. Let me repeat the important part. A machine gun attack. In London. You know, the country where possession of a pistol gets you prison time. Where you have to belong to a shooting club to even own a rifle. That gun control thing is really working, isn’t it? He can’t carry a gun, especially not there! The Charlotte Observer would have us believe that a 17 year old is responsible for shooting another person in a park! A 17-year-old is in jail while the man he’s accused of shooting at a northwest Charlotte park last week remains in critical condition at an area hospital. Charlotte-Mecklenburg police responded Friday afternoon to L.C. Coleman Park off Beatties Ford Road after they received a report of shots fired. SECTION 29: No person except duly authorized local, State or federal law enforcement officers, and duly authorized County employees or officers shall carry, possess or discharge any type of firearm, explosive device, air guns of any description (BB guns, paintball guns, pellet guns etc. ), or bowie knife, dirk, dagger, slung shot, sling shot, leaded cane, switchblade knife, blackjack, metallic knuckles, razor, shurkin, stun gun, or deadly weapon as defined in the North Carolina General Statutes within any park unless authorized by permit issued by the Director. So someone please explain to me how they can possibly believe that this crime has actually occurred. Of course, there is a different interpretation. It’s possible that there exist a class of people who will murder you, even if they have to break a whole bunch of laws in order to do it. Maybe it’s time to end this “no guns in parks” farce once and for all. Oh, yeah. The accused is under 18, so there are no public records on anything criminal he might have done in the past. The victim, however, is not exactly pure as the driven snow. This is alleged to have happened a few miles down the road from me in Clayton, NC. Clayton Police say two subjects armed with firearms are suspects in the case. Both suspects are male and were both wearing jackets and black ski masks. One suspect is described as being 5’10” tall with a stocky build wearing a black hooded pullover. The other male is described as being 6′ tall with an average build wearing a camouflage jacket. I say alleged because everyone knows that it is a crime to take a gun into a financial institution in North Carolina. There’s even a sign on the door that tells you not to bring weapons into the bank. Are those signs defective? Or do they only apply to law abiding citizens? This is clearly unpossible. Felons aren’t allowed to have guns. Hickory police have arrested two men they say robbed a Dollar General store on Monday morning and led officers on a chase through three North Carolina counties. David Ray Williams, 37, of Lexington, and James Samuel Hill, 38, of Winston-Salem, were each charged with felony robbery with a firearm. But Sean, the story says nothing at all about them being felons. But the Department of Corrections says that they are. More gun violence that will get blamed on the rest of us. You have to wonder why the news doesn’t tell us about the criminal histories of the people they are supposed to be reporting on. It’s like there’s some sort of conspiracy to make us believe that crime is committed by ordinary people.